And the Best Place to Get Cajun Food in New York Is . . .
Hard to get reservations at this joint. Recently I did an interview with Deep South Magazine. I liked it because we talked less about Sweet as Cane, Salty as Tears and more about my favorite subject: me. 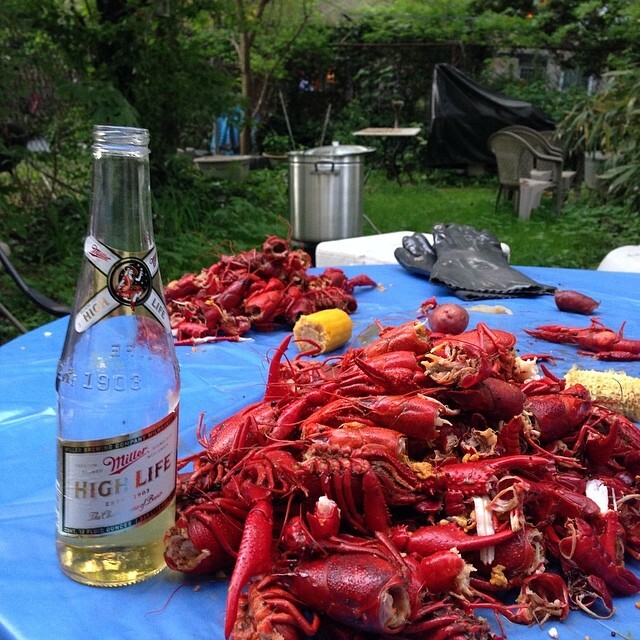 Actually, we talked a bit about the experience of being Cajun in New York. The first thing Erin Z. Bass asked me to do was to sum up that experience in just a few words. This is typically the sort of question that stops me in my tracks. I have to sit there and think about it for days. Cara once asked me what my favorite movie was. That was four years ago and I’m still working on it. Elsewhere, a few sources have read the book and said nice things about it. I’m trying to keep these things on a page of their own over here. And there’s the Facebook page, where I can mouth off a little more and keep folks posted on upcoming events. Looks like I may be doing two events in Louisiana the first week of October.